These promises are for every believer, yet each will admit to not fully experiencing what is promised. Charles Spurgeon helps us to appreciate that all God's promises are the birthright of each Christian. It is not presumptuous or unreal to expect to enjoy what God has promised for us. We are to measure what the Lord can do by His generous promises rather than by our selfish level of expectation. 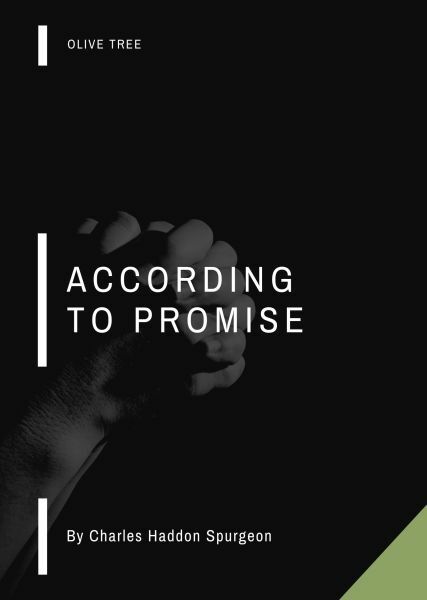 In According to Promise, Spurgeon affirms his concrete and unshakable faith in the veracity of God's covenant promises to His elect.